A distress signal on the edge of inhabited space. A mission that is far outside normal parameters. Two very different people with one common goal – survival. 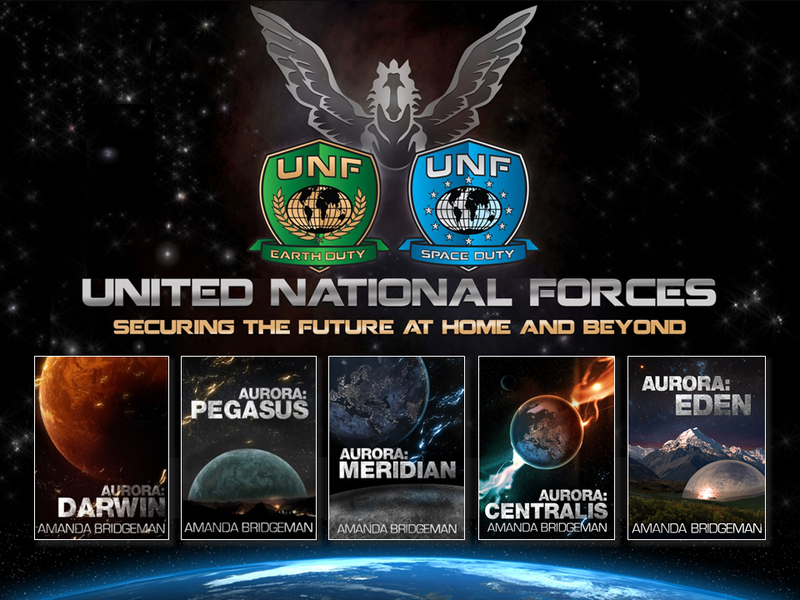 For Corporal Carrie Welles, one of the Aurora‘s new recruits, her first mission in space seems like a dream come true. Determined to achieve the success of her father before her, and suddenly thrust into a terrifying mission, she must work with her new captain and the strained Aurora crew to make it home alive. When the Aurora arrives at the station Harris and Welles soon find themselves caught up in a desperate fight for survival. Station Darwin is not what they expected. The lights are off. But somebody is home . 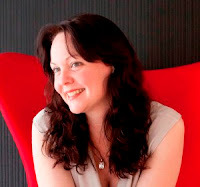 . .
Born and raised in the seaside/country town of Geraldton, Western Australia, Amanda hails from fishing and farming stock. The youngest of four children, her three brothers raised her on a diet of Rocky, Rambo, Muhammad Ali and AC/DC. Naturally, she grew up somewhat of a tomboy, preferring to watch action/sci-fi films over the standard rom-com, and liking her music rock hard. But that said, she can swoon with the best of them. 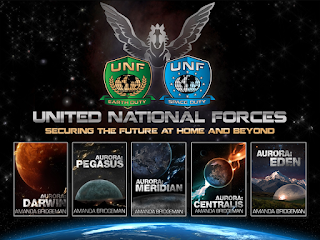 She has so far released four books in the Aurora series - Aurora: Darwin, Aurora: Pegasus, Aurora: Meridian - which was recently been nominated for an Aurealis Award for Best Science Fiction Novel – and Aurora: Centralis. 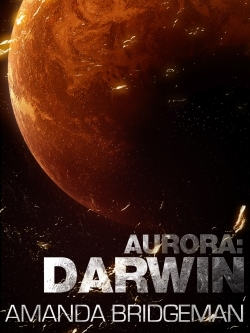 The fifth book in the series, Aurora: Eden will be released this month.